WSSC's Patuxent Water Filtration Plant, located at the intersections of MD Route 198 and Sweitzer Lane in Laurel, has increased its production capacity and public health protection with innovative upgrades to the facility. The Patuxent Plant currently provides approximately one-third of the daily demand to the system. The facility will have a production capacity of 72 million gallons of water per day (MGD). Upgrades include the addition of an ultra-violet disinfection system, which in addition to being low cost and environmentally friendly, adds multi-barrier protection to the filtration process. The $65 million upgrade was completed without disruption to water production on October 31, 2018. Adds an additional layer of protection for public health. Ensures compliance with future US EPA regulations for disinfection of Cryptosporidium. Provides the most cost-effective alternative for disinfection of chlorine-resistant pathogens such as Cryptosporidium and Giardia. 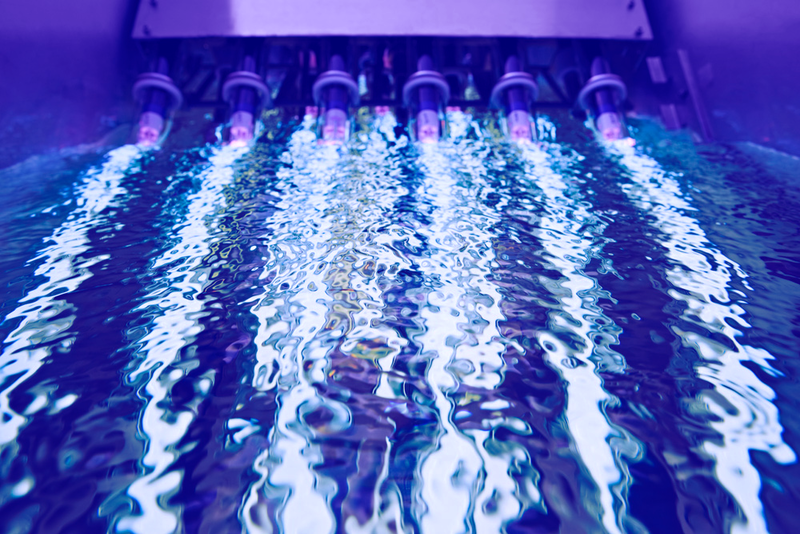 The Patuxent Water Filtration Plant process now includes 12 UV reactors and system components, which are controlled to provide the proper dose of UV light for the flow rate of water. The lamp assemblies are equipped with automatic mechanical cleaning devices and continuously monitored for output efficiency.